A beginning Source modder and game enthusiast. 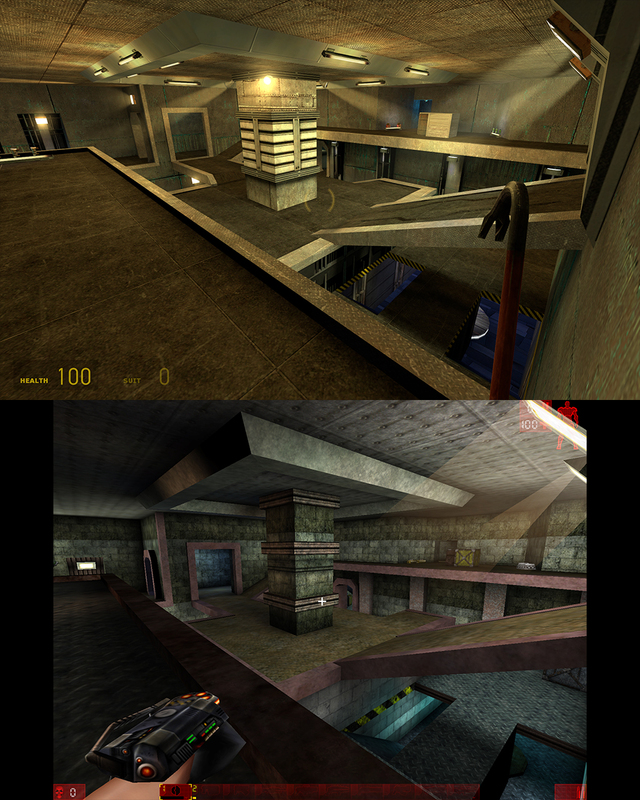 You'll quickly notice that, unlike I promised last time, this is still a fairly pure recreation of the original and not something expanded into a new, more traditional HL2DM experience. 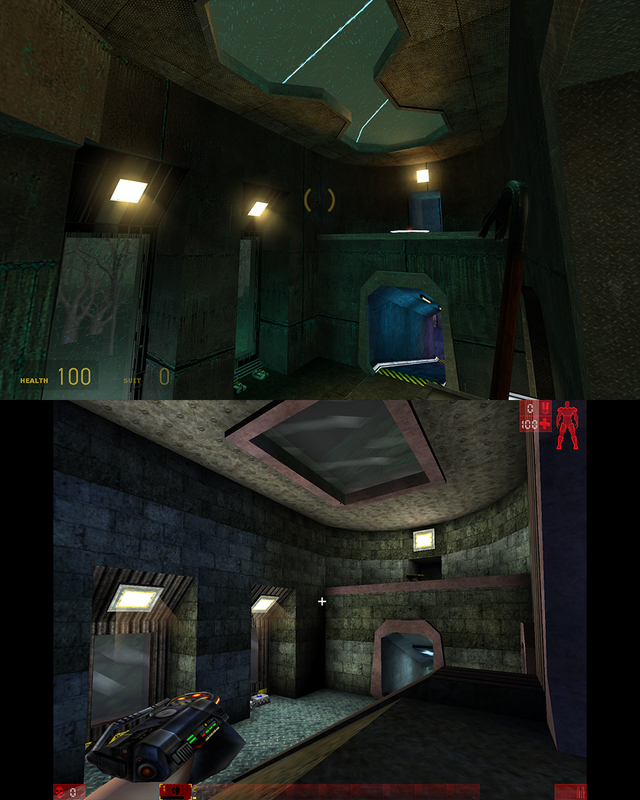 The reasons for this are primarily that (a) this was much quicker and easier to achieve to get a first map out the door, and (b) I'm a sucker for simple, old-school BSP maps anyway. Plus, I love recreating things and that made it more fun to work on. So there it is! 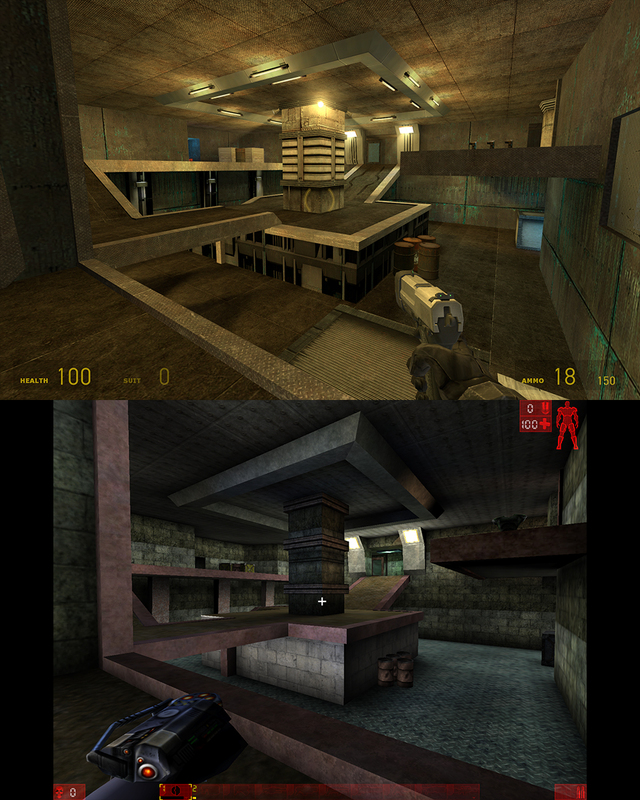 I learned a lot working on this map, and it was a great experience. I'm particularly proud of the Combine shield bubble (and especially the shield emitter on the roof -- try putting the wooden crate up by the shotgun and getting on it for the full view) and the "underground" room. If you have any thoughts or complaints or ideas, please post them! I'm not sure what I'll be doing next, but I'll keep you updated. - The water at the bottom of the elevator shaft is there because that was the only section in the level where the player could take falling damage, so I placed the minimum amount of water required to break their fall. This also allowed me to give a nod to the original level's underwater theme, including the pipe elbow and the dripping water. - The design cut through the ramp in the main room not only looks cool, it also serves to let light down into the tops of the ramps below. 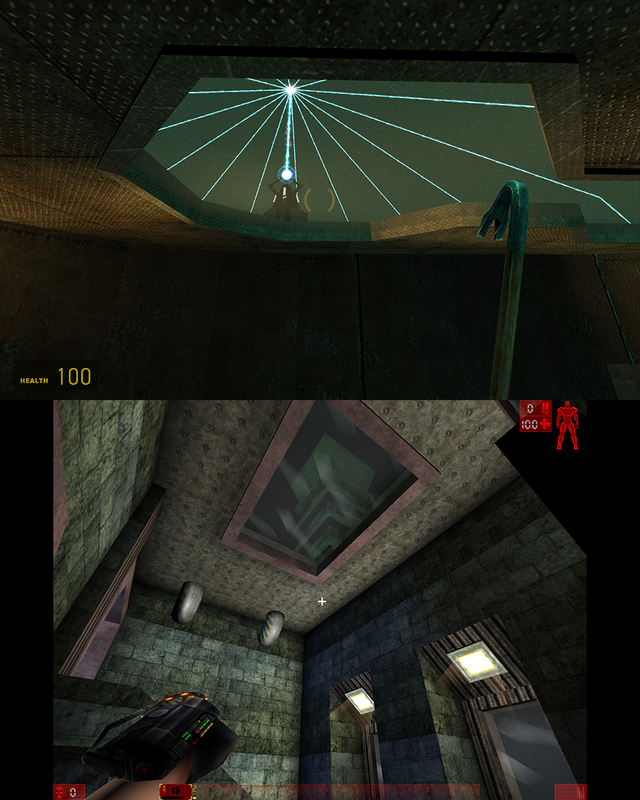 When I switched the map from the 2006 engine to the current 2009 version, all of the lighting changed a little. 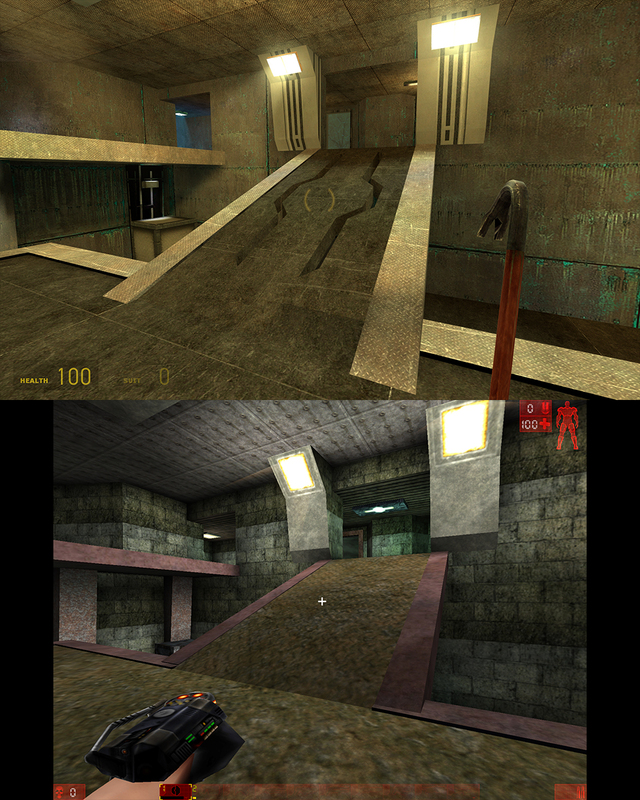 The tops of the ramps were really dark from the underground area, so they didn't catch the eye and the player wasn't encouraged to go that way. I decided to let some light in from the top, and the effect is subtle, but I think it helped a lot. - If you try long enough, you can get lodged in the ceiling/wall joint in the underground portion using the explosive barrel. I recommend crouching on top of it and hitting it with the crowbar. 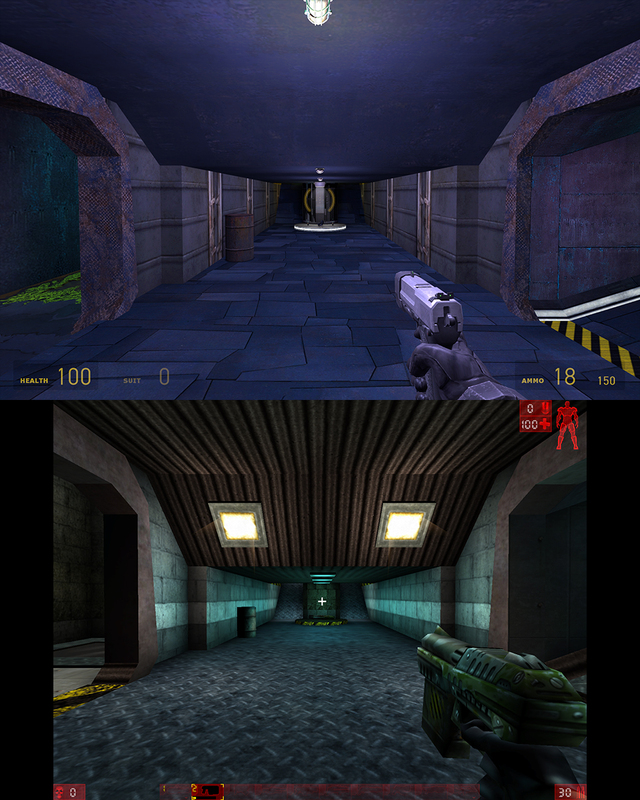 - If you use the Gravity Gun's primary fire on the specially-made weapon spawn platforms, you will get a flash of white along with the "nothing to fire at" animation and sound. On top of that, if you aim directly at the center of the red glow sprite, you'll still get the white flash and "nuh-uh" animation and sound, but it'll also do the firing visual effect. Apparently the Gravity Gun hates sprites. P.S If your interested you may want to apply for the Wrath Closed Beta, see our page for more details!